Indian weddings getting streamed online has become a trend now. So it is common to get updates on social media on couples striking a filmy pose in a choreographed pre-wedding video in some exotic location. But it’s not easy to plan a social media savvy wedding, say experts. * Have a hashtag: Clichéd as it may sound; having a customized hashtag lends a touch of personalisation to an otherwise regular wedding. From something that is meaningful to the couple, a play on their initials or a cute personal joke, a hashtag can be anything you want it to be. Include it in your décor, make it a part of a photo booth, put it in the invites and save the date and get your friends and family to use them for all wedding related pictures and conversations. It’s an easy day to find wedding photos posted by guests in one place on Instagram too. 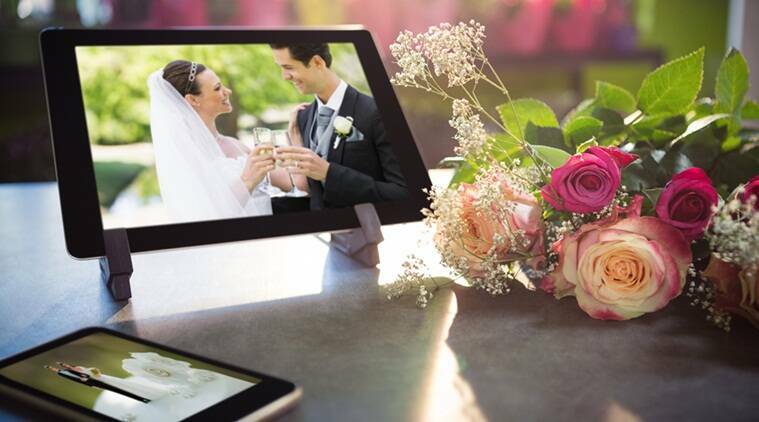 * Customize the ceremony: Instagram and the likes are flooded with pictures and videos from the wedding and sometimes it becomes hard to distinguish one from another. While ceremonies inherently are ritualistic and follow a pattern, add some fun elements to the celebration to make it your own. A sweet entry by the bride and groom, a thoughtful toast by the best friends or a fun game between the families make for great memories and great videos. * Décor drama: Nothing spells social media better than beautiful décor but great decoration doesn’t have to mean expensive flowers flown from another country. Give your venues a personal touch with elements that bring out your relationship and your personality. Using photos of the couple in an innovative way, having sweet centrepieces with personal stories or including elements like a message tree for people to leave marriage advice and notes are some great ways to use décor to make a statement. * Include everyone: While couples tend to hire the best photographers for getting the perfect shots to be framed in their living room, real time shots for immediate uploading is left on the reliable shoulders of friends and cousins. Make sure all the moments that matter are captured and posted for posterity, including memories your photographer may not capture, such as a sweet moment between your aunt and uncle. * Have fun: Whether you’re planning a large scale extravaganza or a private intimate affair, whether you’re getting married in a palace or a beach or at a temple, remember to enjoy yourself and not get too caught up in achieving Pinterest perfection!